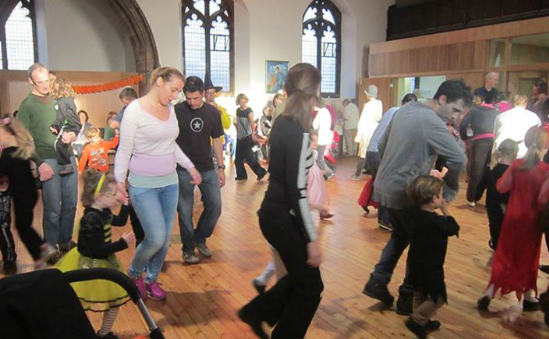 The St Martin's Community Resource Centre, in west Edinburgh, is working to create an inclusive resource for the whole community and seek to reduce inequality and develop community in Gorgie Dalry. The Centre is a place where people can gather with others, to participate in activities, whatever age or background, to learn new skills improve health and wellbeing and gain confidence to make positive changes in their lives. As we work to transform well used and visible facilities, we seek to further develop a cohesive, healthy, successful and vibrant local community, and in so doing, maintain a home for local organisations to ensure their vital work, in and with the community can continue long into the future. Local partners include: 18 community organisations welcoming people of all ages, faiths and background; Health All Round; Spokes and the congregation of St Martin's Episcopal Church. We seek to provide better accommodation for all who currently use the building and accommodate new users, whether for individual or group use. This Transformation Project has been developed to provide Gorgie Dalry with a resource for all. Once complete the centre will be self-financing. Thank you for your support.